There a variety of measurements that studio owners can and do use as indicators of success and, surprisingly, some might not be typical key performance indicators (KPIs). Nevertheless, let’s start with one that’s tried and true. The International Health, Racquet & Sportsclub Association (IHRSA) reports that the average retention rate for its member clubs is 71.4%. One can argue that IHRSA member clubs tend to be the best performing in the industry, therefore, the national average re. retention is likely much lower. According to the Association of Fitness Studios (AFS) the average studio retention rate is 75.9%, significantly higher than the best performing traditional health clubs. And among this group, personal training studios enjoy a lofty 80% retention rate – likely due to the more personal nature of their customer experience. Group exercise facilities also fare well, retaining 73% of their clients. This is impressive given the proliferation of group X options for consumers in the past few years. Providing a “photo ready” environment. Nothing will have your clients heading for the exits faster than a dirty, smelly, undesirable hygienic environment. It may seem obvious but maintaining a focus here goes a long way toward having clients looking forward to their trip to the studio gym. Make it personal. One of the primary reasons your clients are your clients is that you offer a more personal customer experience than what they believe they’ll get at the traditional health club, or the studio down the street. This personalization must become ingrained in your brand promise. People want to know that you care about them. Finding your niche. An offshoot of the personalized approach is to make clients feel special and nothing does it better than offering them “good stuff” that they have earned by showing their loyalty. This two-way street is the gateway to growth for your business. Building a tribe. A clean environment with a personal approach and specialized offerings will help you create your tribal community – those clients who feel they belong to you, your studio, and each other. This community is the key to your success because it impacts all phases of your business: acquisition, retention, customer loyalty and referrals. 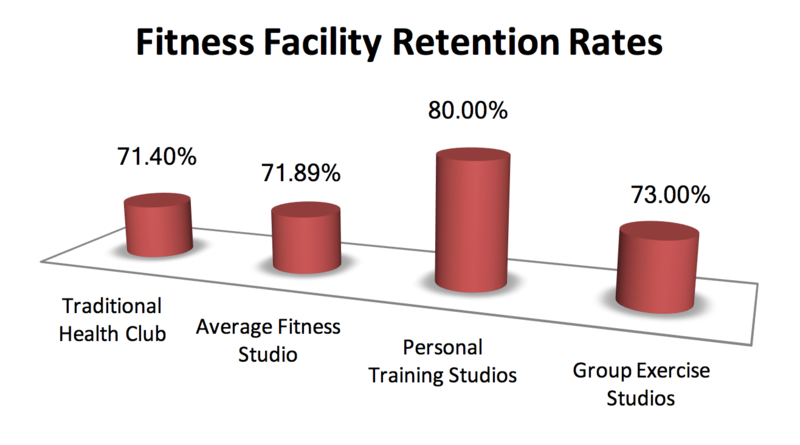 The average studio retention rate is 75.9%, significantly higher than the best performing traditional health clubs. The importance of routine equipment maintenance cannot be overstated. Broken down machines tell a negative story that you don’t want told. Why are my machines not working? Poor quality? Don’t have the money to fix them? Management doesn’t care? Avoid this pitfall by implementing a rigid equipment maintenance schedule built on daily, weekly, and monthly regimens. Your primary equipment suppliers can likely assist you in developing this program. After all, they want your customers happily enjoying their equipment as much as you do! The old saying is that the greatest resistance to price increases is always internal. That’s a nice way of saying that many studio owners are reluctant to raise prices, lest the perceived value proposition be diminished in the eyes of their clients. Pricing needs to be based on your brand positioning and the customer experience you build around. If you bill yourself as “better” or “the best” at whatever your brand promotes itself to be – then people will expect to pay more for “the best.” Could be the best programs, the best trainers, the best what-evers. Some studios hedge their bet effectively by using layered pricing. The more you pay the more you get. Typically, three or four layers encompass an expanding level of engagement (number of sessions, participation in programs, access to facilities). Strong client research will give you a good idea of what your members want and how important each component is to them. 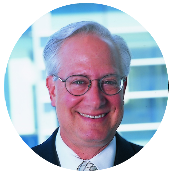 The most important element in pricing is that it matches up with the customer experience. Under promise and over deliver is another old adage that rings repeatedly true in the fitness studio world. Chuck Leve is a 40-year veteran of the fitness industry and proven successful developer of fitness industry associations. Currently he serves as the Executive Vice President of Business Development for the Association of Fitness Studios (AFS). He's been involved in the creation and development of some of the most successful trade associations in the history of the fitness industry.